In our house, the way a gift is wrapped is every bit as impor­tant as what’s inside. All the fun is in the antic­i­pa­tion! Here are 12 orig­i­nal gift wrap­ping ideas and tech­niques to get you inspired. All of the tuto­ri­als are from the Finnish blog Oh Pack­age!, one of our new favorite go-to sites for cre­ative pack­ag­ing ideas. 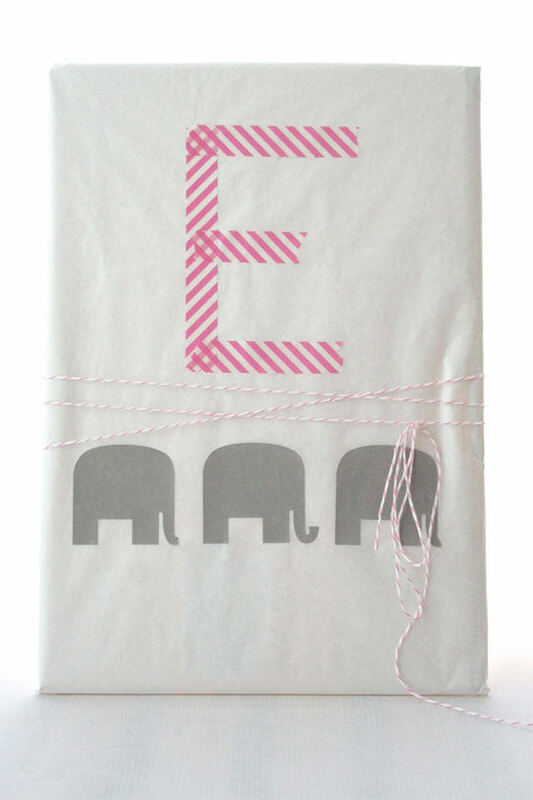 Be sure to check out the fab gift wrap and sup­plies in the online shop as well! DIY Gift Wrap Idea #1: Mul­ti­color Twine KnotsIt’s so fun to col­lect col­or­ful baker’s twine that you end up with far more than needed for cook­ing. Plus who wants to get turkey juice on candy-striped bak­ers twine? It’s too pretty for that! So why not dress up a card­board box or Kraft paper with it? It looks so fes­tive that it works for almost any occasion. 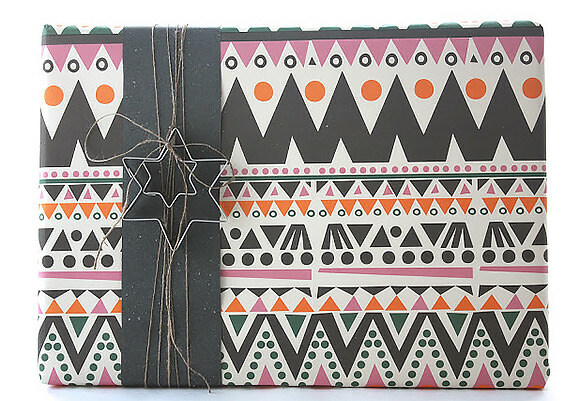 DIY Gift Wrap Idea #2: Washi Tape Mono­gramAny excuse to col­lect rolls of col­or­ful Washi tape is a good one. What a great, easy way to per­son­al­ize a package—and you get to avoid wor­ry­ing with a tag. 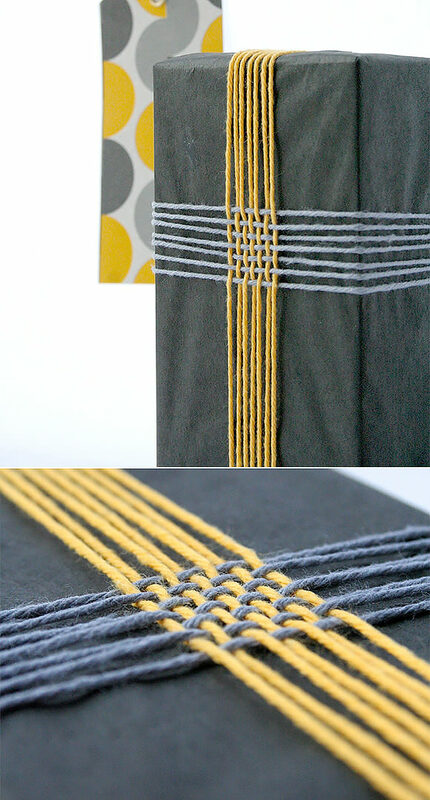 DIY Gift Wrap Idea #3: Braided YarnWho knew a sim­ple weave of yarn could look so mod­ern? Get­ting the recip­i­ent to bust through this pretty pack­ag­ing will take some convincing. 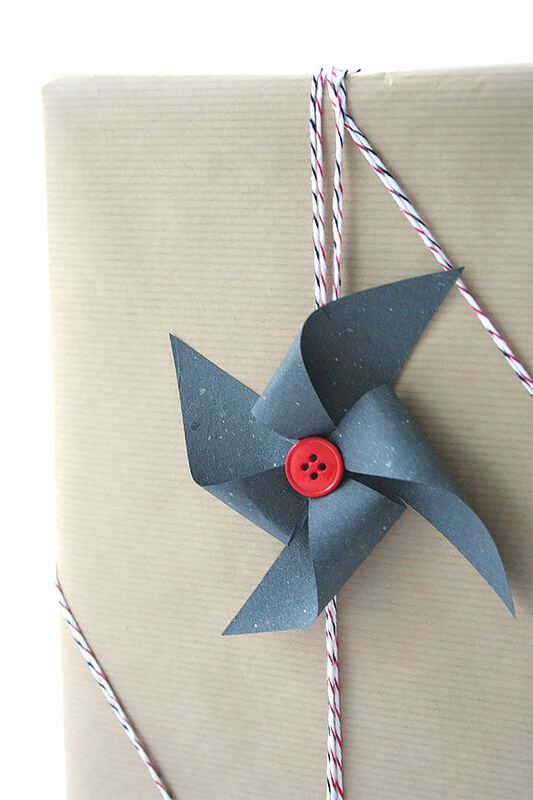 DIY Gift Wrap Idea #4: Pin­wheel BowPin­wheels are one of those child­hood sym­bols that never loose their magic, and they trump a plain old bow any day. In this tuto­r­ial, the process for cre­at­ing one is shown in just two photos—and once again, you get to make use of more pretty notions: buttons! This tech­nique looks impres­sively hard, but it’s really super easy! Just fold the paper as shown in the easy-to-follow tuto­r­ial, tape the sides, and presto!—another clever alter­na­tive to a bow. You can cre­ate pack­ag­ing wor­thy of the MoMA store with these hand­made angels paired with del­i­cate sil­ver twine. The sweet lit­tle cake paper is the per­fect touch too! Acces­soriz­ing a larger gift with a mini gift is a fun way to hint at what’s inside or give a trin­ket that will be cher­ished, but is per­haps too small to be wrapped. Attrac­tive cook­ing uten­sils, orna­ments, or toys also work great. This awe­some tuto­r­ial shows you how to shape an elab­o­rate snowflake design with pins and baker’s twine. Sprin­kle the pack­age with a few cutout dots and you’re set with one beau­ti­ful bundle. In five easy steps Oh Pack­age! shows you how to use a fork and some twine to fash­ion a fes­tive Pom-Pom. Why stop with only one when they’re this easy to make? 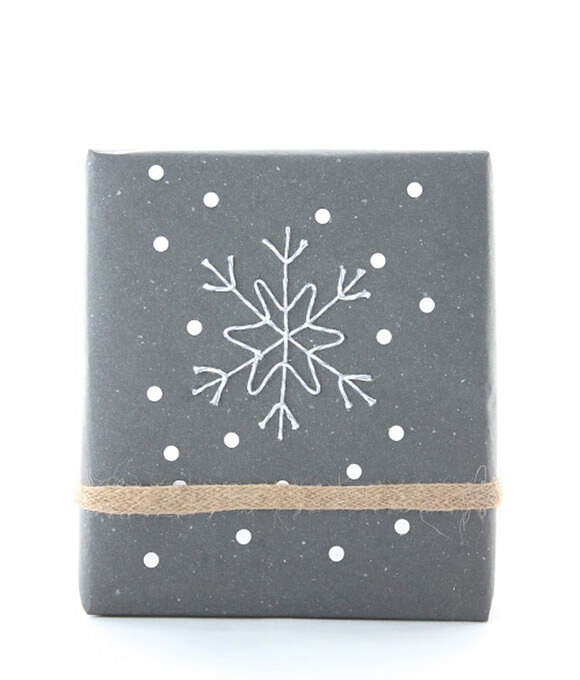 Another great alter­na­tive to the ordi­nary gift tag. All presents would ben­e­fit from this heart­warm­ing touch. What a great project for lit­tle ones to do next time you attend a birthday—it’s a gift all on it’s own. 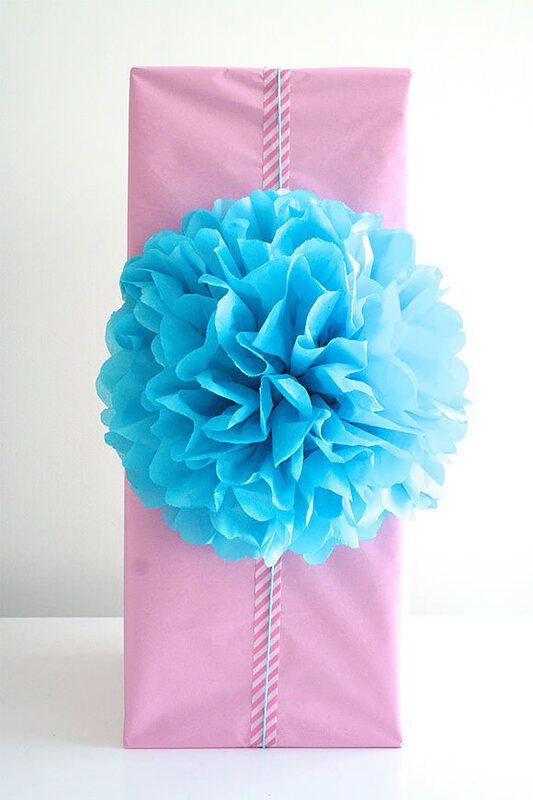 DIY Gift Wrap Idea #12: Tis­sue Paper Pom-PomNext time you want to go really bold, for­get the yarn and go straight to the tis­sue paper. This tuto­r­ial shows you how to make one big and beau­ti­ful pack­age topper. 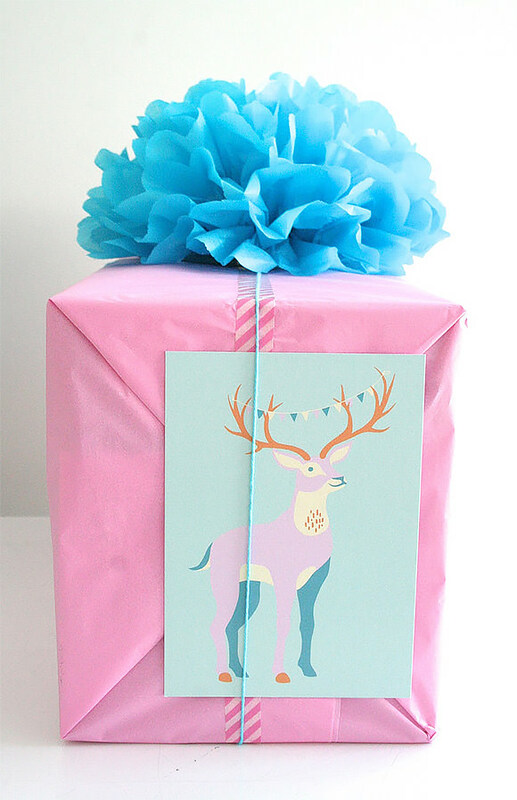 For more great ideas on pack­ag­ing gifts, be sure to check out the Oh Pack­age! blog!